Tim Holschlag is owner of Smallmouth Angler.com, an angling service that offers a variety of fly fishing instruction focusing on smallmouth bass. Tim’s popular Stream Smallmouth Schools have been held in Minnesota for 15 years. His Lake Smallmouth Trips in Ontario combine expert instruction with world class angling for smallmouth, muskie, and other warmwater species. 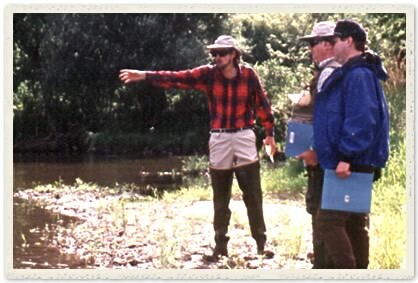 In addition to on-the-water instruction, Holschlag shares his extensive smallmouth knowledge in his book, Smallmouth Fly Fishing: The Best Techniques, Flies, and Destinations. He is also a popular speaker at fly fishing shows, fishing clubs and events. For more information on the schools, trips, book, and other smallmouth services see contact details in the notes column. Prices: Latest details direct from Tim’s website at the URL below.